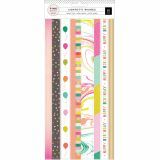 Confetti Wishes Washi Sticker Sheets 3/Pkg - The perfect addition to your next craft project! 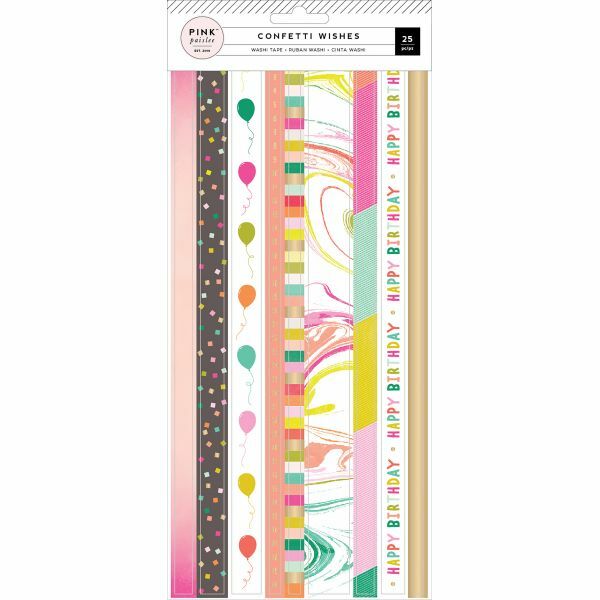 This package contains three 5.5x12 inch sheets with 25 stickers total. WARNING: This product contains chemicals known to the state of California to cause cancer, birth defects or other reproductive harm. Do not mouth or chew. Imported.